Discover why St Petersburg in Russia ranked #37 in our countdown of ‘100 Most Incredible Cities in the World’. The legendary State Hermitage Museum, or the Winter Palace, was historically the main residence of the Russian Tsars. Marvellously situated on the bank of the Neva River, this three-storey palace has a large collection of art, 11 years’ worth of viewing to be precise, given only a minute at each display. There aren’t many cities in the world that have weeks of endless daylight. 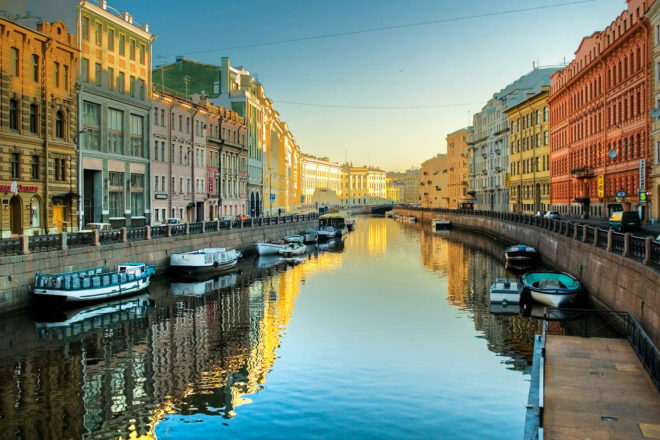 Thanks to its extreme northerly position, from 11 June to 2 July St Petersburg becomes an insomniac’s dream as the sun never sets. Known as the season of the midnight sun, it’s celebrated with the White Nights Festival. This showcases classical ballet and opera, and culminates in the traditional Scarlet Sails celebration. If you do visit during this time, be wary of the time; at 1am the bridges are raised to allow ships to pass along the Neva and there’s no way to get from one side to the other for hours. It could be a long wait!